These terms and conditions outline the rules and regulations for the use of www.jochrobak.com’s Website. Unless otherwise stated, www.jochrobak.com and/or its licensors own the intellectual property rights published on this website and materials used on www.jochrobak.com. Subject to the license below, all these intellectual property rights are reserved. You must not use this website in any way that causes, or may cause, damage to the website or impairment of the availability or accessibility of www.jochrobak.com or in any way which is unlawful, illegal, fraudulent or harmful, or in connection with any unlawful, illegal, fraudulent or harmful purpose or activity. You must not conduct any systematic or automated data collection activities on or in relation to this website without www.jochrobak.com‘s express written consent. You must not use this website for any purposes related to marketing without the express written consent of Invent Design Create Limited trading as www.jochrobak.com. Access to certain areas of this website is restricted. www.jochrobak.com reserves the right to restrict access to certain areas of this website, or at our discretion, this entire website. www.jochrobak.com may change or modify this policy without notice. 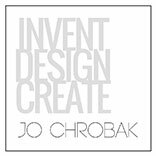 If www.jochrobak.com provides you with a user ID and password to enable you to access restricted areas of this website or other content or services, you must ensure that the user ID and password are kept confidential. You alone are responsible for your password and user ID security. www.jochrobak.com may disable your user ID and password at www.jochrobak.com‘s sole discretion without notice or explanation. You grant to www.jochrobak.com a worldwide, irrevocable, non-exclusive, royalty-free license to use, reproduce, adapt, publish, translate and distribute your user content in any existing or future media. You also grant to www.jochrobak.com the right to sub-license these rights, and the right to bring an action for infringement of these rights.